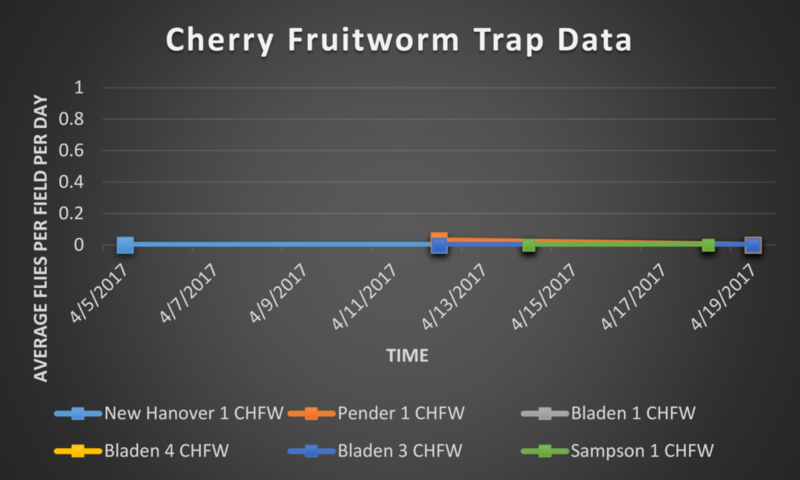 As it is still early in the growing season, trap captures are low. 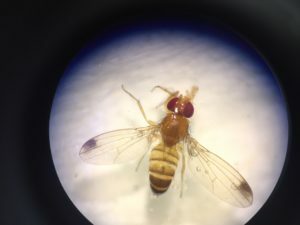 This will be a particularly interesting year for scouting due to the cold snap that hit North Carolina after the period of unusually warm weather. 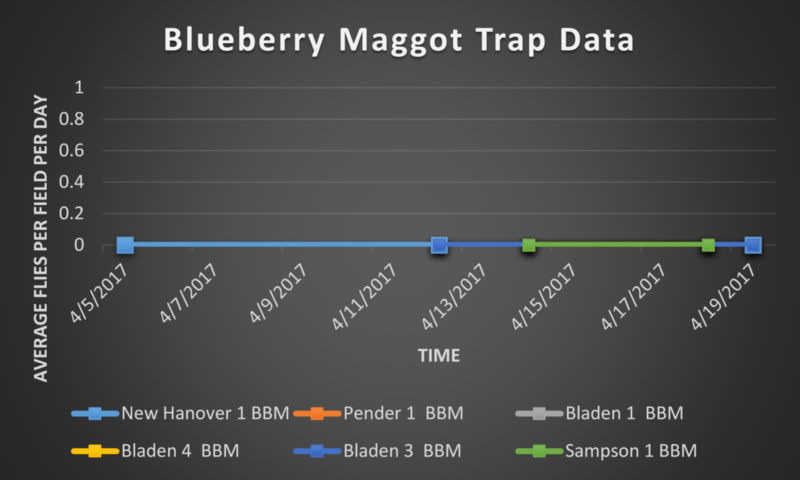 Some blueberry blooms that had opened early were hit hard by the cold, so we are curious to see if trap captures present a similar trend of damage to pest populations that may have also emerged early. 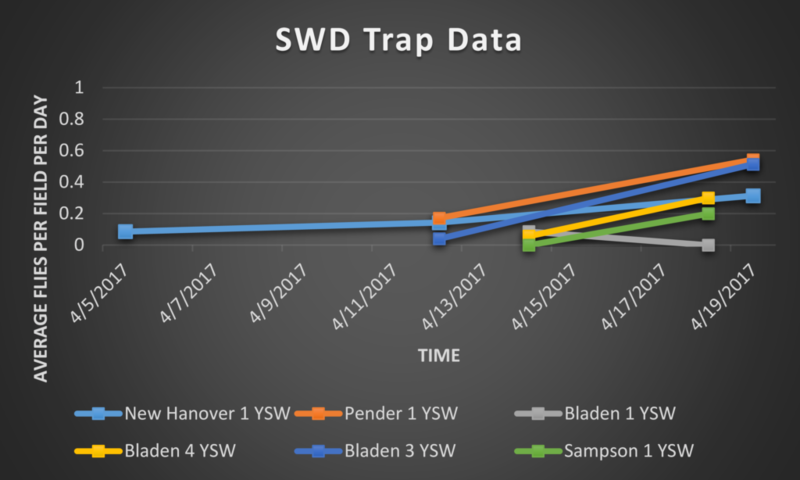 During this trapping period, 11 SWD were captured at New Hanover 1, 19 SWD were captured at Pender 1, 18 SWD were captured at Bladen 3, 2 SWD were captured at Bladen 1, 6 SWD were captured at Bladen 4, and 4 SWD were captured at Sampson 1. 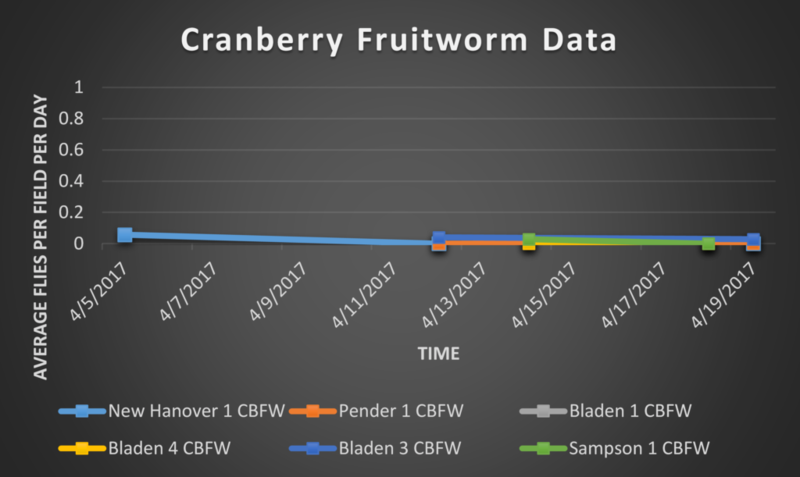 During this trapping period, 1 cranberry fruitworm moth was captured at Bladen 3.